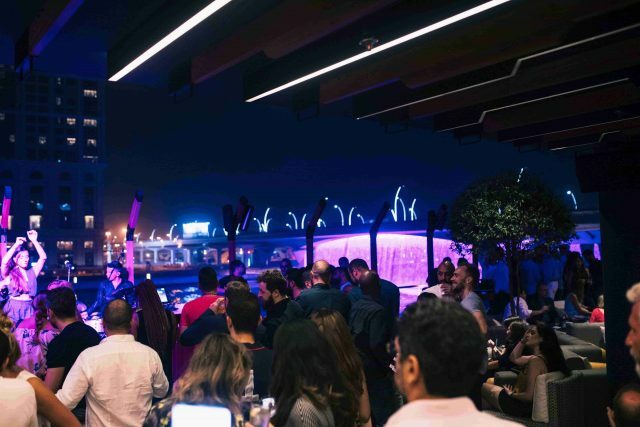 Front row seats along Dubai Canal, a cool atmosphere and crafted cocktails — ready to explore the city’s newest hotspot? First thing you’ll notice when arriving at Seven Sisters is the unobstructed views overlooking Dubai Canal and its color-changing waterfall. 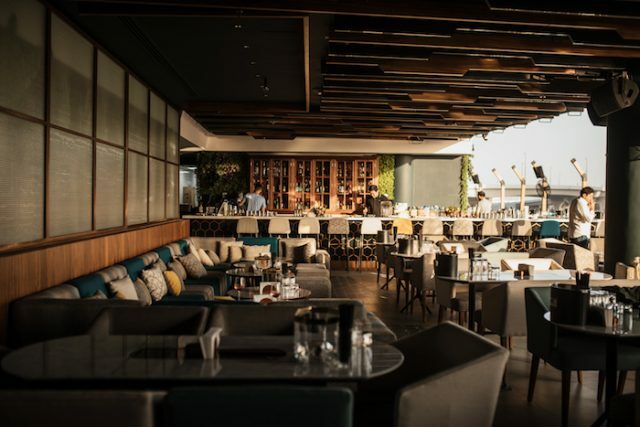 Sitting atop the first floor of the JW Marriott Marquis Hotel, the venue occupies one of the most unique spaces in Business Bay… and we think it’s tailor-made for Dubai’s social butterflies. 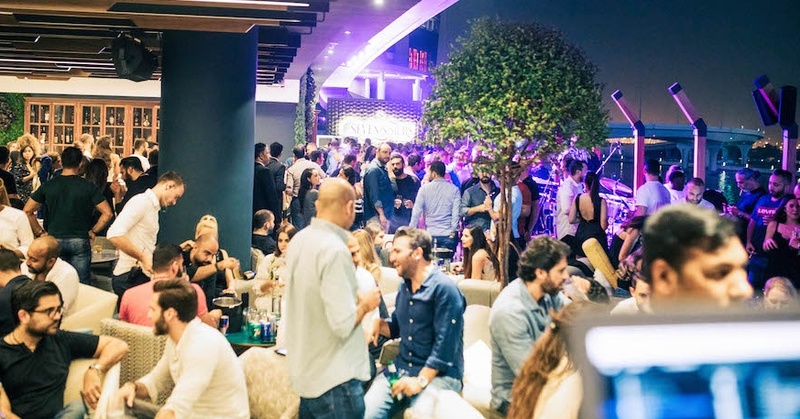 The glammed-out terrace comes alive after sunset with live music sessions. One of our favorite nights to head down is on Tuesdays when Layla Kardan and her band turn things up. The jazz vocalist is one of the region’s most talented indie artists and trust us: she really knows how to work a crowd. 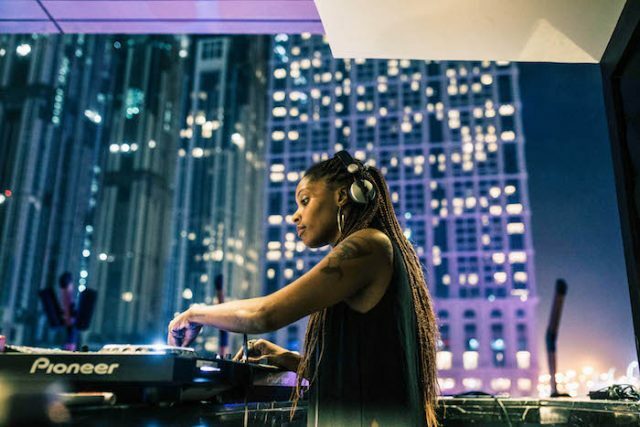 You’ll also find plenty of dance music on the weekly entertainment line-up, including DJ Patch on Wednesdays, DJ Megatronic on Thursdays and DJ Margo Sahara on Fridays. Head down during the week for dinner and drinks, where you’ll find Mediterranean specialties with a twist of Asian influence. From sea bass cevich to short rib yakitori, the food menu doesn’t hold back on flavor and style. 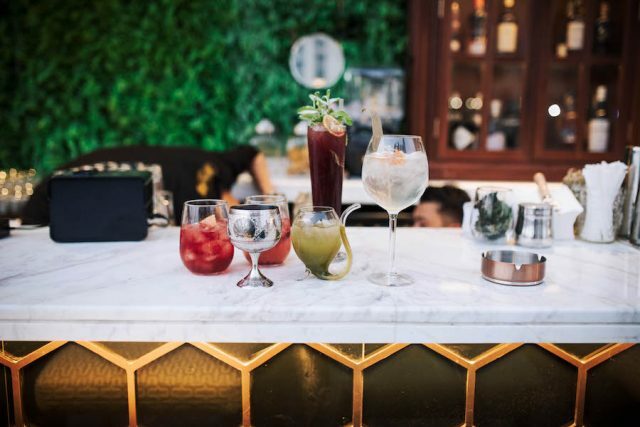 Cocktail lovers, ask the talented mixologists behind the bar to whip you up a signature drink – they’re dangerously good and made to impress. The Seven Sisters concept is inspired by the elements and represents the sun, moon, stars, sky, water, wind and flora – all of which have been incorporated into each aspect of the venue. From the floral walls (perfect for social snaps) to the food & bar menus and live entertainment, the theme adds a funky touch of glamour throughout the venue. After dark, the space gets soaked in purple neon as music blasts across the canal. Verdict: Expect a balance of laid-back vibes, party atmosphere and views that just don’t quit.